Sapphire and diamond 13 stone half eternity ring. 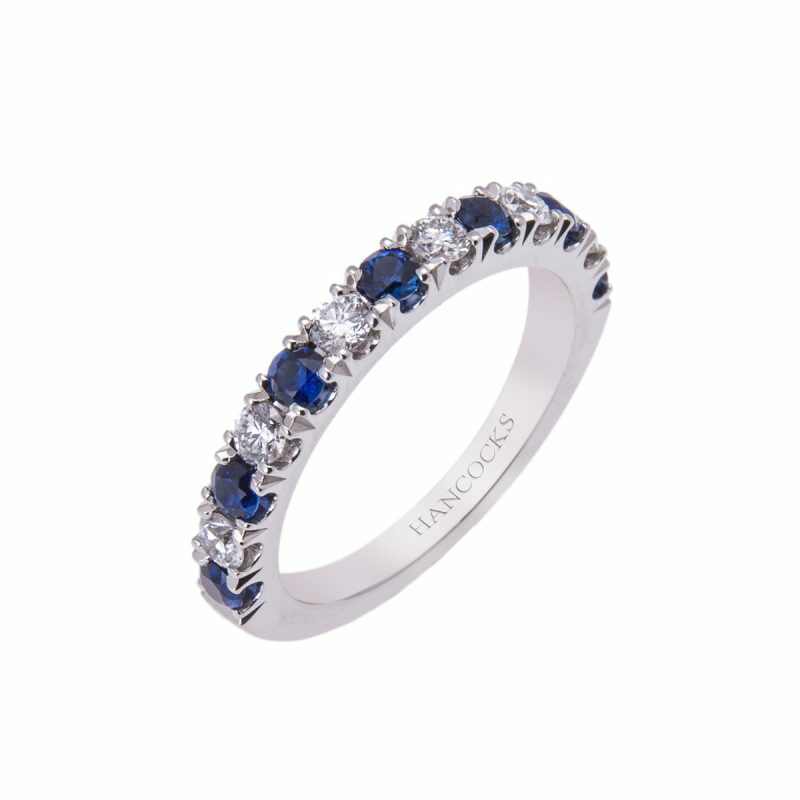 Put simply, this ring was made to last and looks fantastic. 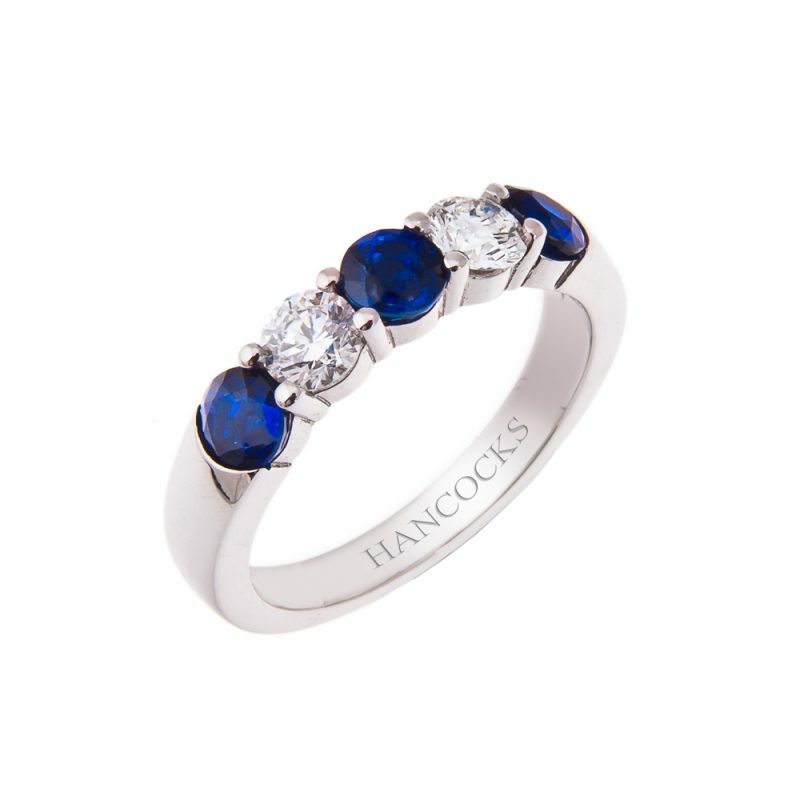 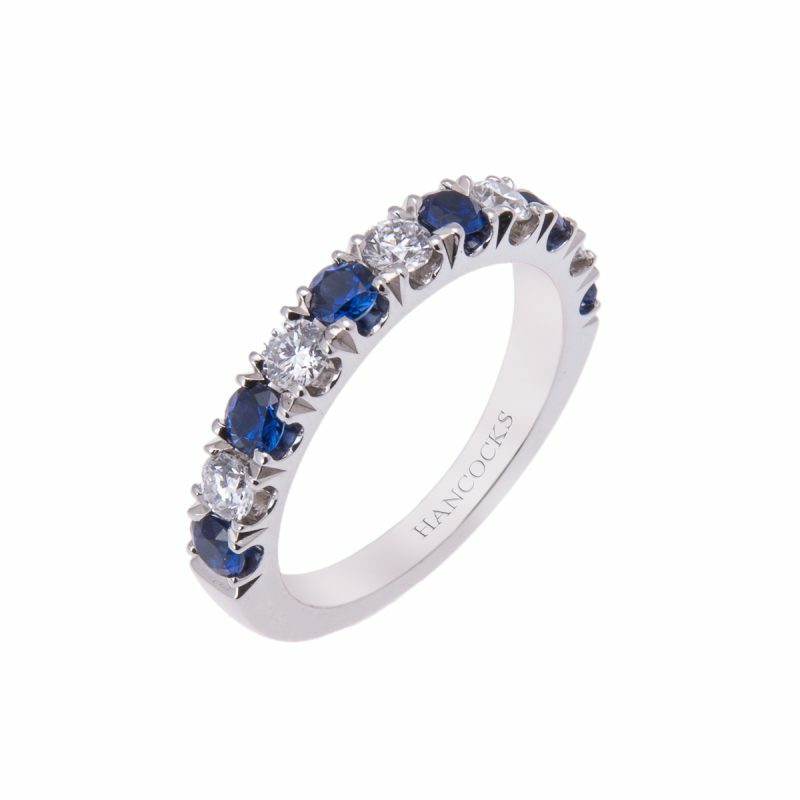 Mounted in a secure, platinum 4-claw setting with 7 beautifully matched rich velvety blue round cut sapphires. 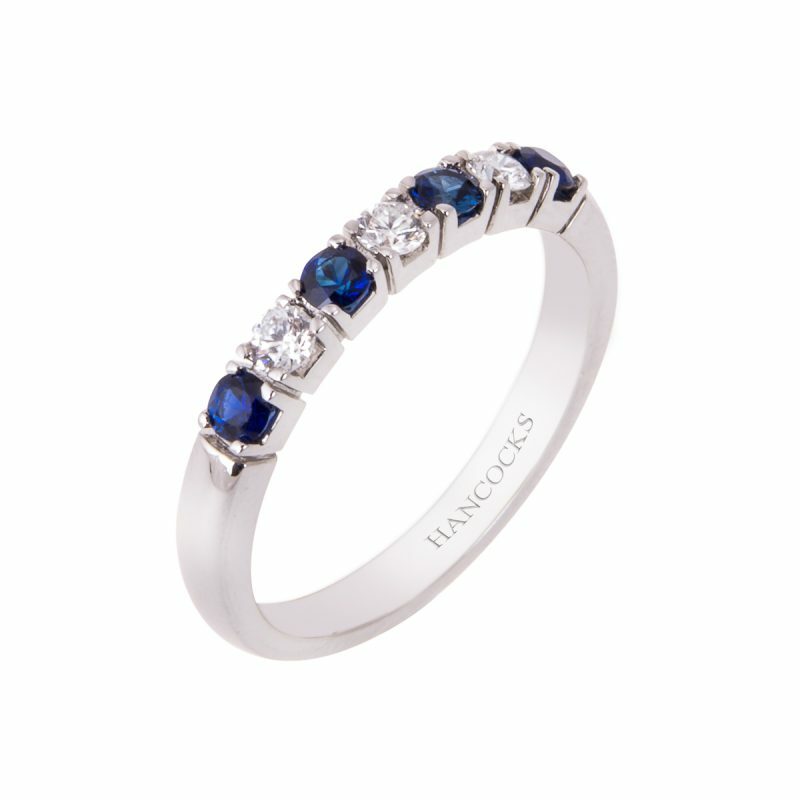 These are complimented by 6 high colour brilliant cut diamonds to add a little sparkle.